RESEARCH TRIANGLE PARK, NC—October 2, 2018 — A new study finds that nursing facilities were able to reduce hospitalizations among residents without increasing their mortality risk. 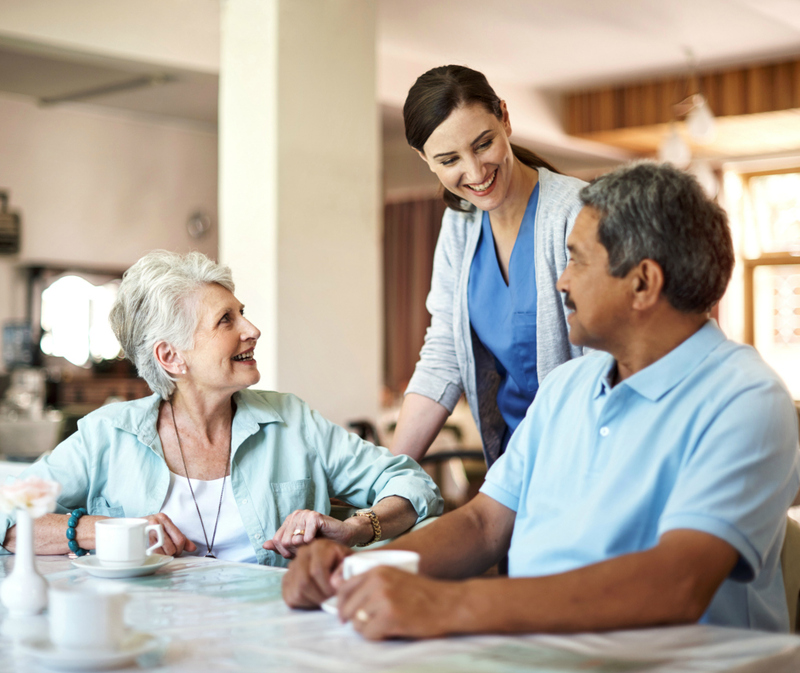 RTI International tracked 143 nursing facilities participating in the Centers for Medicare and Medicaid Services’ Initiative to Reduce Avoidable Hospitalizations among Nursing Facility Residents. The results of the study were published in the October issue of Health Affairs. RTI analyzed the mortality rates among long-stay residents at the participating nursing facilities that were recruited by independent organizations called Enhanced Care and Coordination Providers (ECCPs) to implement the initiative in seven states during the period 2012 – 2016. The study found no evidence of an increase in mortality rates among residents in participating facilities relative to changes in mortality rates among residents of comparison facilities. The study was part of the RTI evaluation that found evidence of the initiative’s effectiveness in reducing hospitalizations among residents of participating facilities, as reported in a previous Health Affairs article and detailed in the final evaluation report. “These findings are significant at a time when we are seeing efforts being stepped up to minimize unnecessary hospitalizations because of their high cost and their adverse impact on residents. Until now there has been little research on the possible negative consequences of such efforts,” says Joyce M. Wang, a research public health analyst at RTI and co-author of this study. The study found that the interventions, in some facilities, of ECCP nurses and nurse practitioners were central to the success of the initiative. In most participating facilities, these experienced staff provided an extra set of hands to assess and monitor changes in the residents’ conditions and manage their care in the facility. In other participating facilities, ECCP nurses did not provide clinical care directly to residents, but rather, they provided ongoing training and education to increase the capability of nursing facility staff to assess and manage residents’ conditions on site. While more research is needed, it may be conceivable that with increased clinical care capacity and staffing, even nursing facilities that do not participate in the initiative could be successful in reducing hospitalizations without adversely affecting patient survival. “This success, of course, hinges upon the availability of highly skilled nursing staff, ideally of the facility’s own, who are capable of bringing ‘culture changes’ to care practices in the nursing facility,” says Zhanlian Feng, a senior research analyst at RTI and lead author of this study.